The drug epidemic in Macon County is an ongoing conversation amongst county leaders and residents. Destroying families, taking lives, and plaguing a community, drugs are rampant through the nation and communities like Macon County are constantly searching for ways to keep up. Macon County Commissioner Vice-Chair Ronnie Beale lead the charge this week to host an “action” meeting of nearly 100 people from Macon County on how to attack Macon County’s drug problem, The meeting was intended to be all action driven. No more talking about the problem. No more planning to plan how to handle the problem. But to put actual practices into place to solve the drug epidemic in Macon County. Commissioner Beale referred to Tuesday’s meeting as the initial meeting of “No Wrong Door” a comprehensive, countywide, joint effort to address not only drug addiction but mental health issues, since the two problems are closely intertwined. Local law enforcement, agency representatives from department of social services, county leaders, and town officials shared ideas, experiences, and for the first time, worked collaboratively to share resources. “I believe it was a very productive meeting with a lot of great diverse minds working together on finding a solution to this major epidemic our county and country is dealing with,” said Town Planner Justin Setser. Barres said having so many different agencies, churches, and organizations, in room one, working together was something that had not happened before and something that might be a game changer. “No Wrong Door” was the first step in searching for solutions and those in attendance agreed that those solutions would come from local ideas and local involvement. Betancourt said the greatest takeaway he had after yesterday’s meeting was the community is inspired and motivated, something that needs to happen to address mental health and drug addiction. Commissioner Beale said the important thing to ensure now, is that the county continue to build on the momentum. “The plan now is to take all the good work from the meeting and formulate a working plan and hopefully have this group reconvene and review and then have a working plan for the future for Macon County to help not only the most vulnerable of our population but also their families who are also suffering,” said Beale. 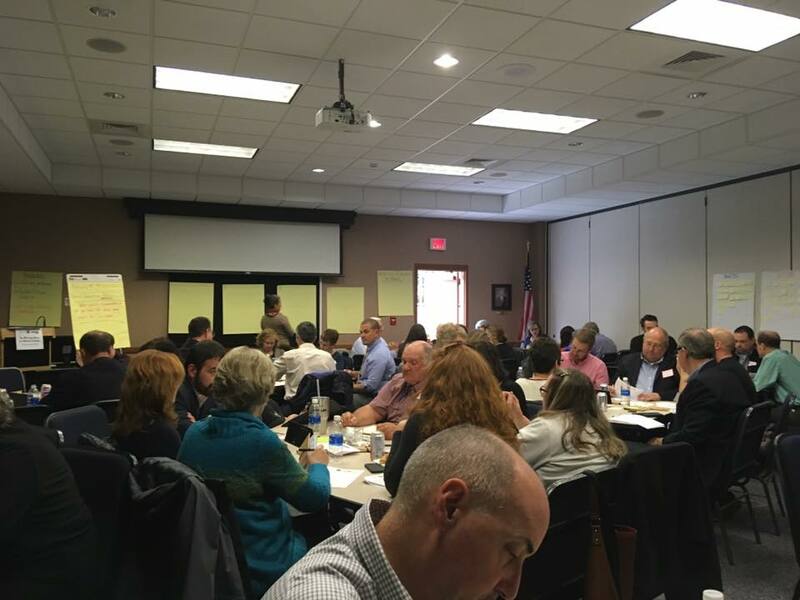 Prior to Tuesday’s meeting, dozens of agencies in Macon County were working on their own to best address mental health and drug problems in the county. With the initial meeting completed, for the first time, the agencies can pool resources and work comprehensively toward the same goal. Previous articleMission Health announces plans to join HCA Healthcare Inc.